Today we’re highlighting some of the latest advancements in retail store design with a particular focus on the role of digital. 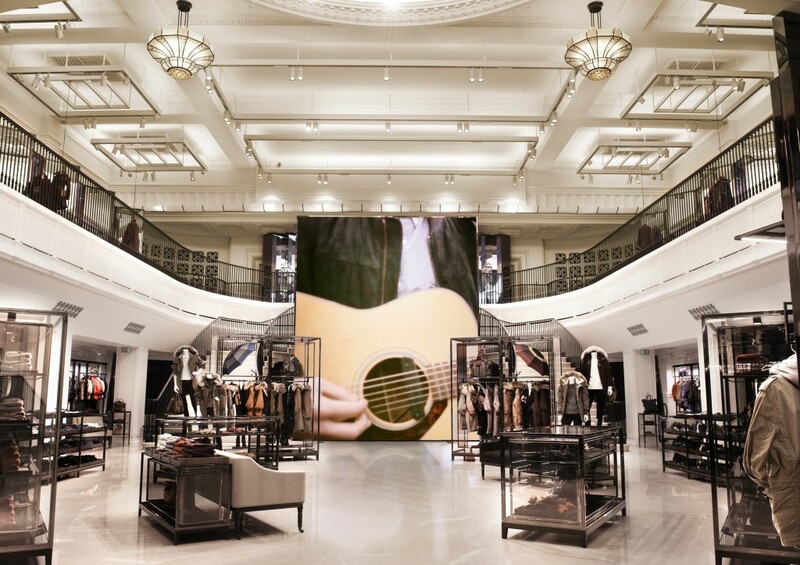 Retail design has gone through major transformations since the first store openings of Bon Marché and Printemps in Paris, Selfridges in London and Macy’s in New York. Ever since, retail stores have had to redefine themselves to keep up with the ever changing landscape of customer tastes and technological advancements influencing the shopping experience. Main innovations in retail design focused on standardisations in the techniques and design qualities such as alterations to the structure of the space, entrances, circulation systems, atmospheric qualities and materiality. While these factors have a high impact on how the consumer is immersed in the thematic experience and ultimately influences his purchasing decision, it has become increasingly important to incorporate an innovative approach to the digital aspect within store design. Victor Gruen, well known for his innovative retail store and mall designs in Europe and the US in the 80s, was a visionary in terms of urban architecture. His designs where mainly impacted by the rising number of people owning cars and the construction of highways. With the aim to capitalise on these developments he tried to merge the living, working, leisure, and shopping spheres into one seamless experience. Similarly the role of digital in retail should not be to replace physical stores but to enhance the overall experience. In fact the rise of ecommerce causing an information overload for the customer, the importance of a physical presence, where people actively can experience the brand has become even more important in increasing returning customers. As more consumers continue to shop on the web, luxury brands need to focus on store design and innovation to captivate and draw in consumers. The Luxury retail sector is expected to grow significantly in the next years in the UK due to the need of major brands to keep up with the digitalisation within retail store design. The 2013 UK Luxury Benchmark report highlights that the two most important challenges, that British luxury businesses face are to maintain product quality and reaching the next generation of consumers, that is much more focused on digital than previous generations. Michelle Emmerson, managing director of Walpole British Luxury highlights that: “brands are increasingly exposed to a new consumer group from a younger demographic. This is not only transforming the way the luxury retail experience has been traditionally perceived but also challenges the traditional store concepts that where customised to a specific target group. Today’s customers expect an ‘omni-channel’ experience that is personalised, relevant and consistent across all platforms, blurring the distinction between the bricks-and-mortar and online stores”. Luxury brands traditionally partnered with designers who have worked with five star hotels, super-yachts and luxury residences, to create immersive experiences in conjunction with those who have mastered the codes and culture of the luxury world. With the outlined developments luxury brands are increasingly reaching out to digital agencies or even technology startups to develop a digital retail experience where technology doesn’t feel like technology. 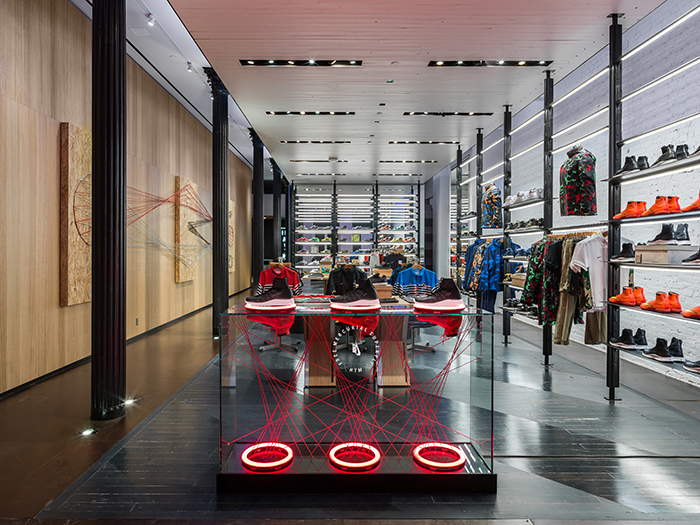 The following leading industry examples from Nike, Givenchy and Jimmy Choo introduce novice ideas bridging the cap between the digital and physical retail store experience. Nike is well known for its innovative retail store concepts. With its Nikelab openings in New York, London, Paris, Milan, Hong Kong and Shanghai, Nike developed a new concept along with a related digital venture. Nikelab acts on the intersection between sport, design, and culture. It showcases the iconic sportswear products while interacting with its large and avid fanbase by offering limited editions of Nike’s latest performance and sport style goods, that have been reinterpreted through creative collaborations and unique capsule collections from various creative partners such as Jun Takahashi. The fashion label allows its consumers to pre-order pieces from the latest collection directly from the runway. Through the possibility of customising pieces from the runway Burberry further connects to its clients. By shortening the time between collection presentation and commerce, Burberry is able to give consumers a unique experience of owning an item long before it hits the store shelves. Furthermore, this process allows the brand to determine consumer’s preferences and to adjust the production line accordingly. 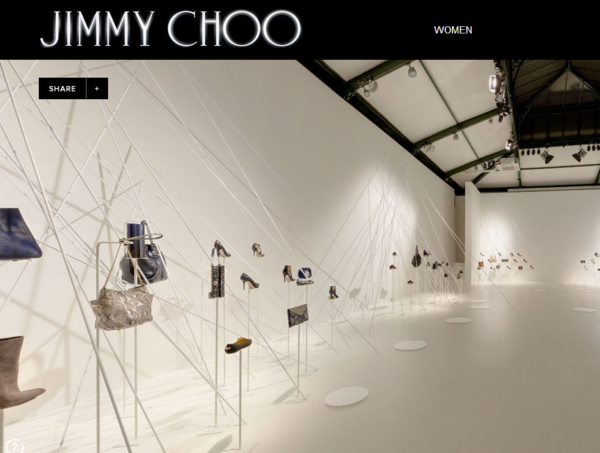 Footwear and accessories label Jimmy Choo engages its customers through providing a virtual showroom to enhance the pre-order experience. The digital feature designed after the physical space allows customers to play fashion editor and pre-order items from the latest collection. The digital showroom was first shared through the newsletter on the 7th of July leading newsletter readers with a “shop the collection” button to the ecommerce page to browse autumn/winter items. The hint on the newsletter “see what the editors saw.” cleverly picks up on the interest of the fashion savvy readers. The campaign video, showing Catherine McNeil, links to the virtual showroom created by the virtual retail startup Avenue Imperial. Once standing directly in front of a group of accessories, the consumer can click on a particular shoe or bag to pull up a larger image and product information in a pop-up allowing for a full 360-degree panorama and share imagery through a “share” button.